A pause in the nose pictures for today to post Teddy. I was going to post him and encourage people to adopt him, as he was one of the sweetest and calmest dogs I’ve met in a while, but apparently he was adopted the day after I took this picture. So I will instead make this my ‘happy adoption’ post instead. Congratulations, Teddy: you deserve your new loving family, and every nice thing a dog can have. Those goofy turned-out paws and short legs: definitely some corgi or basset in there. 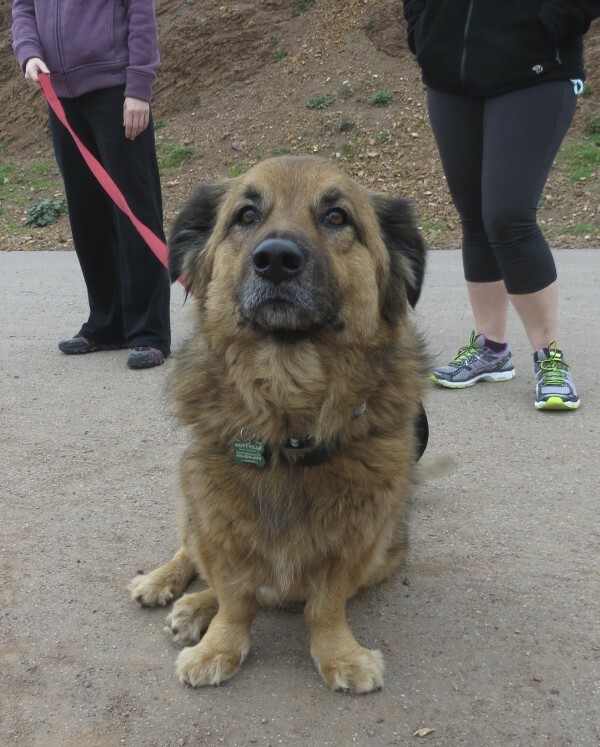 This entry was posted in Dog of the Day and tagged Bernal Heights, Chow, German Shepherd, Mixed Breed, Pembroke Welsh Corgi. Bookmark the permalink. Oh My Gosh, you took this almost 4 years ago. But my 2yr old corgi mix is the spitting image of Teddy… crazy! Teddy was fairly old when I ran into him, too… maybe in the 6 to 7 years old range. Maybe they’re just spiritual siblings. If you’re lucky, Abby will grow up to be just like him, because he was happy and gentle and wise. I’ve taken pictures of literally thousands of dogs (amazing when you think about it… but I’ve actually posted pictures of roughly 2000, and that’s just a fraction of the dogs I’ve photographed) and I still remember some specific times. He was one of them.